The Thermal Process Monitoring System (TPMS) by Emitted Energy can be implemented into all sorts of industries and processes. 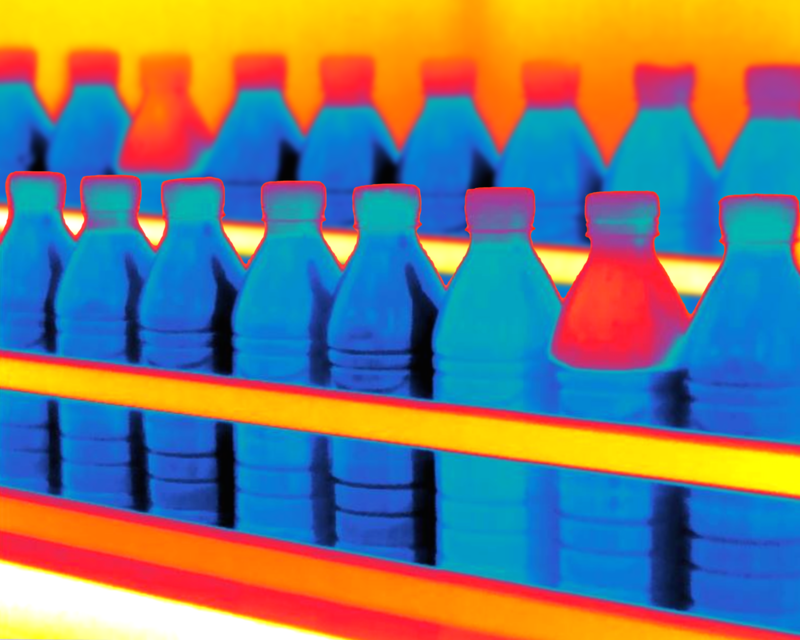 Thermal irregularities cannot be detected by standard machine vision, leaving the production problems unsolved. 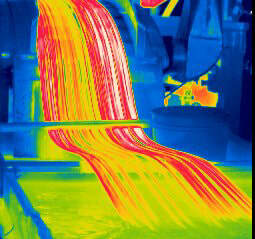 Decision makers can use the additional vital data provided by thermal imaging to better their quality and processes. 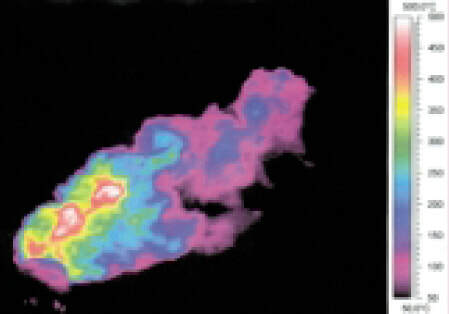 Thermal imaging provides precision temperature measurement without needing contact and is non-destructive. 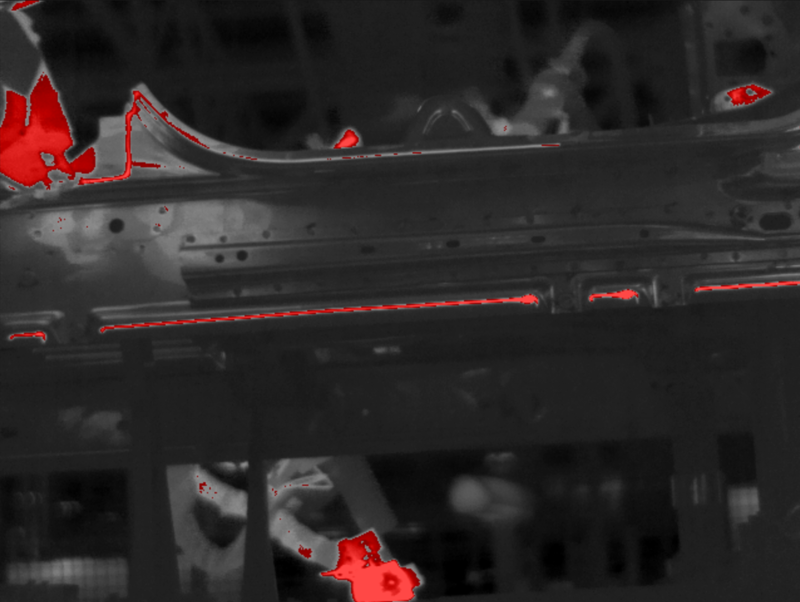 Thermal imaging can provide validation for plastic joining via vibration, ultrasonics, hotplate, hot air/cold stake, infrared, or laser welding. The plastic joining process can be automatically monitored for quality assurance of each part as well as to monitor the condition of your processes components. 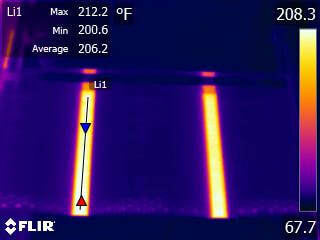 Spot and linear welds can be inspected in real time by FLIR Automation thermal cameras. This can validate the temperature before, during and after each weld, ensuring the integrity of every seal. This will provide you the confidence of knowing your process is under control and each piece fits your standards. Clear or black glue applied to a black background is very difficult for a visible light camera to see and measure. 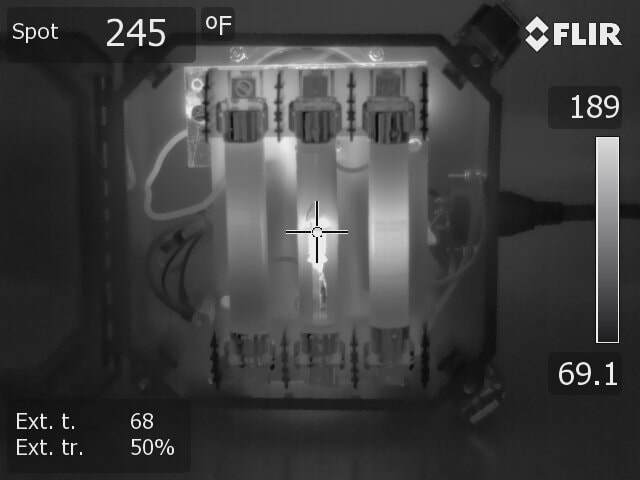 FLIR Automation thermal cameras, however, can easily determine whether the glue bead has been applied properly, has gaps, and even if it is within the allowable temperature limits. In the food industry, it is essential to carefully control the temperature and shape of perishable goods throughout production, transportation, storage and sale. Food processors need tools that automate crucial operations in a way that helps minimize human error while holding down cost. 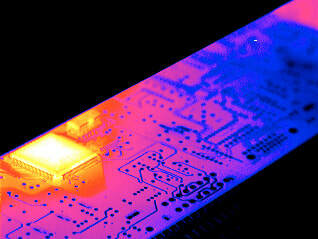 With FLIR thermal imaging cameras, we can monitor this process. Process control provides data to ensure that production line products are meeting the required specifications of temperature and shape. By measuring temperatures, one can control and improve the overall production process. With packaging lines, efficient methods for non-destructive testing of a glued box seals are scarce, and most tend to be very cumbersome. In addition, the glue application methods have a good deal of variability that must be monitored and recorded with statistical quality control routines. 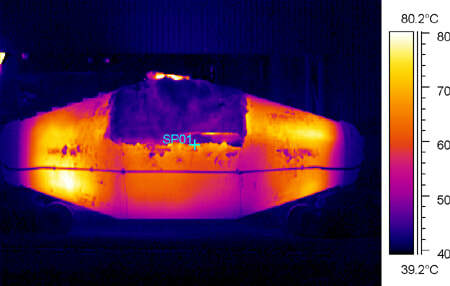 When glue is heated prior to application, its temperature and locations on the box lid can be monitored with an infrared camera. The information gathered can then be stored in a statistical quality control database for trend analysis and equipment monitoring. 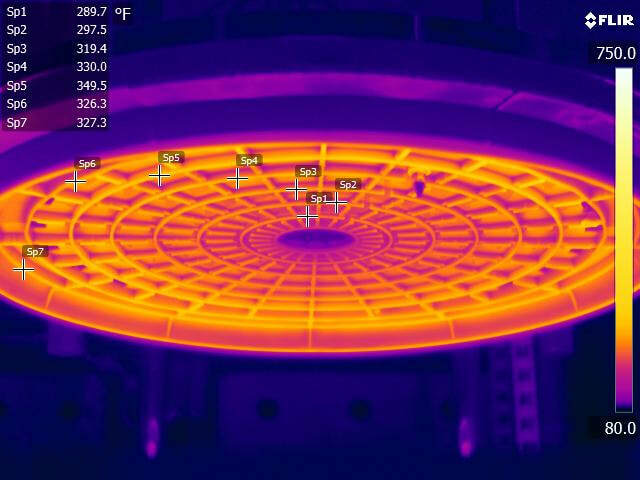 Die cast manufacturing often results in inconsistent thermal outputs. These inconsistencies often lead to problems in the die cast process. 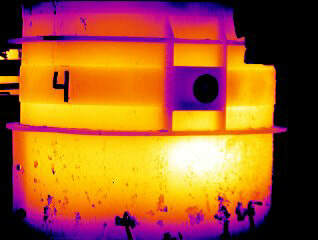 Thermal imaging can help validate the quality of each part by verifying the temperature in between each individual stamp. 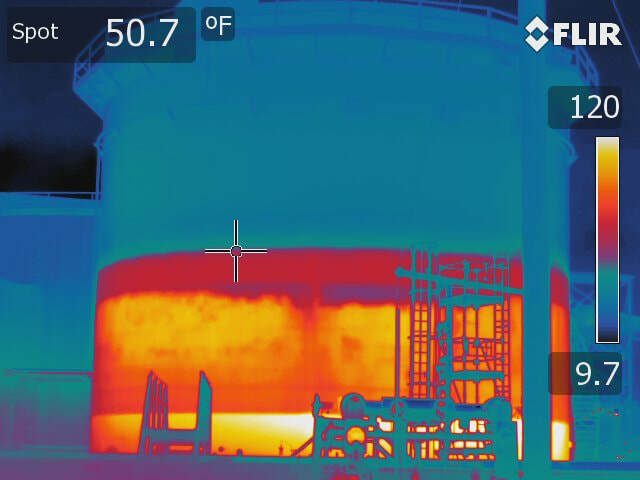 Thermal imaging cameras make a clear distinction between what is hot and what is not. 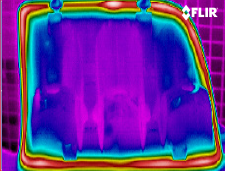 This, combined with emissivity effects, sometimes allow thermal imaging cameras to "see through" plastic and other material. Preventing expensive stops in production due to failure in identifying a problem can be done with condition monitoring. Mechanical and electrical equipment are the kinds typically monitored to identify and prevent dangerous and costly situations. Degradation of critical vessels can result in catastrophe, including fires, explosions, even death. This degradation often goes undetected due to unreliable standard monitoring methods. 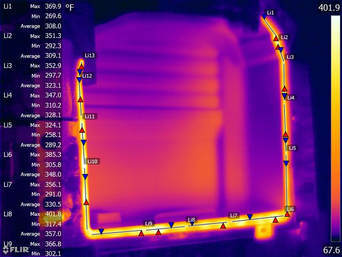 Thermal imaging can raise awareness of these faults by providing a sensor that can provide real-time thermal information. 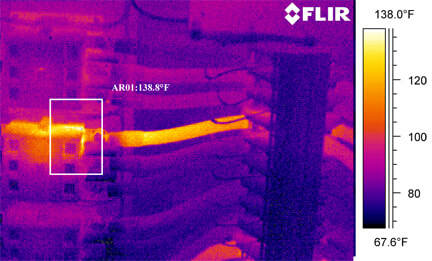 Some critical electrical and mechanical installations are monitored 24/7 with a thermal imaging camera. A fixed mounted solution gives you the advantage so you don't need to rely on periodic inspections. Alarms can be set to go off once a temperature threshold is exceeded. 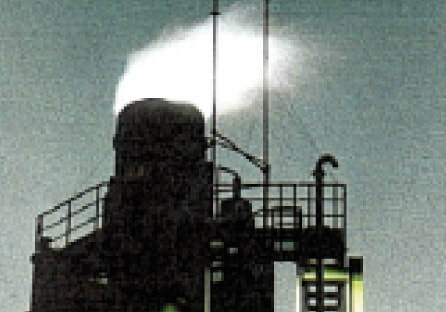 Flares, that often have a flame that is not visible to the naked eye, need to be monitored to see if they are effectively burning the produced gases. 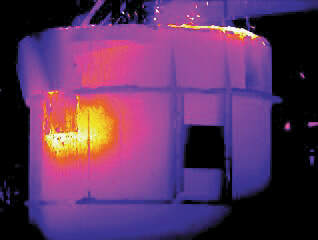 A FLIR Automation thermal imaging camera can help do this. Steel mill ladles have limited lives. As their refractory linings wear or develop breaks due to shock, the outer part of a ladle can be exposed to excessive temperatures. If not caught in time, the result can be ladle disintegration and a molten metal breakout, threatening the lives of workers and destroying equipment. Many types of production materials are exothermic. It is important to be equipped with systems that will detect when such material's internal temperatures reach a point of igniting. This is a crucial safety measure in preventing building fires. 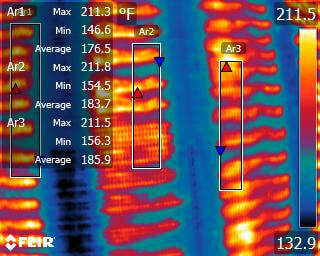 FLIR thermal imaging cameras provide an early warning response to hot spots that are detected. This is important for all types of warehouses. By detecting hot spots in an early stage, warehouse fires can be avoided. Warehouses and storage facilities often have insufficient fire protection. A fire alarm and sprinkler system only protects from fires that already exist and may have already caused serious damage before they can be effectively put out. 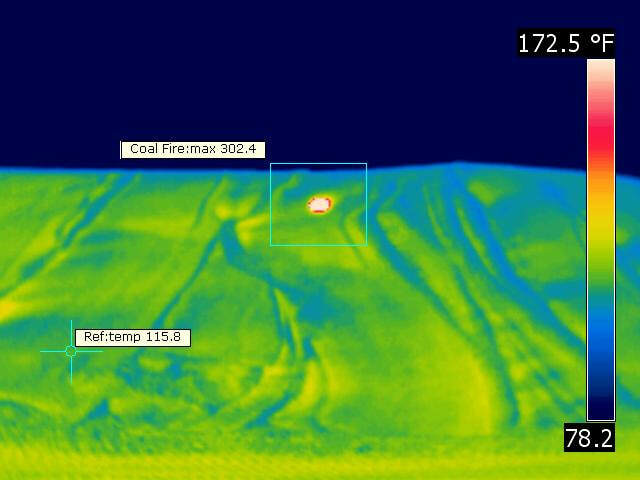 Thermal imaging can provide preventative alerts that detect hot spots forming before they even flare up. Electrical or mechanical installations tend to get hot before they fail. A small electrical problem can have sever consequences. Not only production break downs, but sparks can fly, resulting in a dangerous fire. 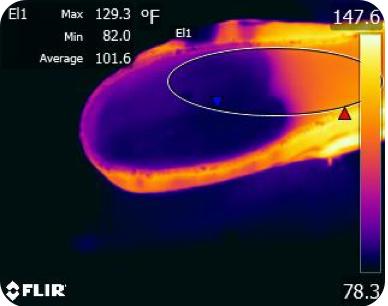 By monitoring electrical and mechanical installations 24/7, thermal imaging cameras can help avoid fires.